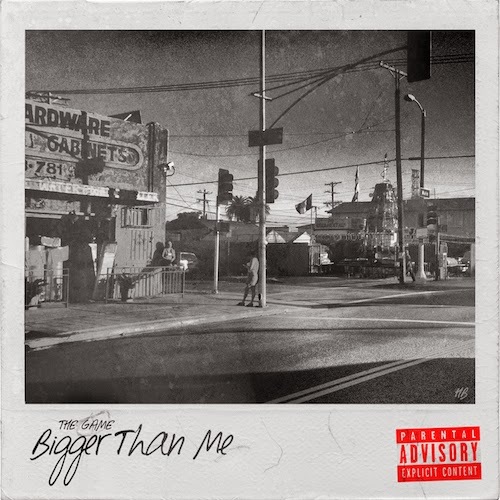 Last week Game dropped the single Bigger Than Me. He takes shots at the XXL Freshman class of 2014, and apparently any young fake gangster rappers. Game also big ups current vets, as well as legends who left before their time. If you get passed all the name dropping the song actually goes hard. The instrumental has a sort of eerie Bourne Identity vibe to it. Game attacks the track with raw emotion and lyrics. I'm sure many people tired of Game dropping names and beefing with rappers on the regular, but if you this lyrical with it, do your thing. Only issue I have with song is why give props to 50? I get he is referencing the time 50, Game and G-Unit were on top of the hip hop world, but 50 straight clowns Game on the regular now (especially with latest G-Unit reunion thing). But over all, a hard track with a really cenematic video. Game raps inside a decrepid haunted house, while Leather Facing a scared young rapper. Great visuals throughout that really go well with tone and feel of song. Peep video below (also adding stream to single if video don't work, don't know how accessible a WorldStar video embed is).